Be a part of the HueMovement™! You can be a part of the HueMovement™ by becoming a HueAmbassador™! By becoming a HueAmbassador™, you are pledging to be a part of HueMovement™ which promotes an balanced, active, and healthy lifestyle while encouraging eating colorful fruits and vegetables. We will provide a HueAmbassador™ Badge to be used on your website and social media! We will also provide valuable HueTrition™ resources such as our HuePets™ program (app and parent/educator program), educational brochures, our e-book, coloring book, various educational materials, and potential support for live event to help better spread the movement. Meet some our of HueAmbassadors! Alyssa is a Registered Dietitian and mom of two HuePet lovers. She has worked with a variety of populations and ages including teaching nutrition to preschoolers, counseling overweight and obese children and teens, and kids with multiple food allergies. Alyssa has a passion for helping others develop a healthy relationship with food and their bodies, starting healthy habits at a young age, and making wellness fun! 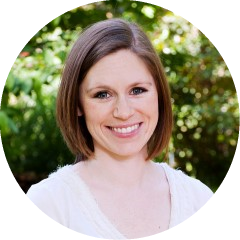 Kyle is a Registered Dietitian (RD) working for the Center for Kidney & Bladder Disorders under Pediatric Nephrology at Connecticut Children’s Medical Center as their Pediatric Renal Dietitian. Kyle provides Medical Nutrition Therapy (MNT) to pediatric patients with varying kidney-related diseases. 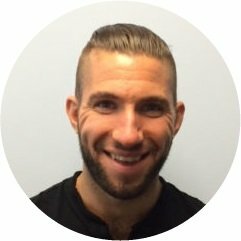 Kyle also spends a portion of his time caring for overweight and obese patients with high blood pressure and is passionate about educating children, adolescents and their families/caregivers on healthy eating and lifestyle changes. He serves on the boards for both Renal Dietitians (RPG) as Social Media Chair and as Kids Eat Right Chair for the Connecticut Academy of Nutrition & Dietetics (CAND). He is a member of the Pediatric Nutrition Dietetic Practice Group (PNPG), National Kidney Foundation (NKF) and the Academy of Nutrition & Dietetics (AND). In his time outside of his nutrition career, Kyle enjoys dancing and teaches Zumba Fitness classes as a licensed Zumba Fitness Instructor as well as trains newly licensed instructors as a Zumba Education Specialist.